Spain’s Proactiva Open Arms refugee rescue organization has appealed to the European Parliament over what it says is a campaign of harassment and criminalization of the rescue work of nongovernmental organizations (NGOs) assisting migrants and refugees stranded at sea in the Mediterranean. The appeal follows a confrontation with an armed Libyan coast guard vessel last week and the impoundment of a Proactiva ship on its return to Italy. 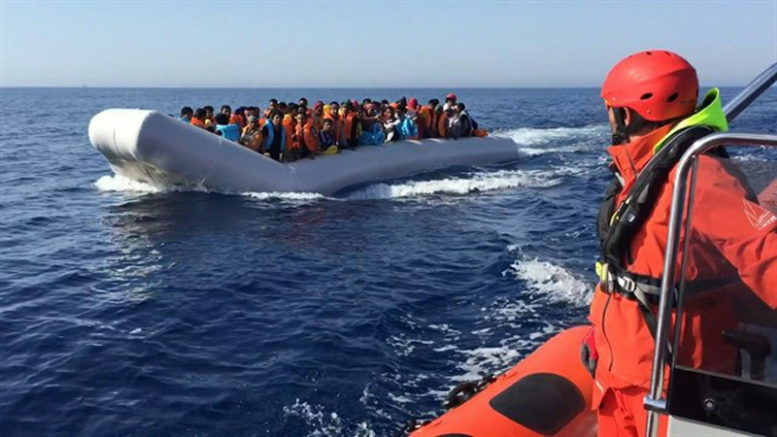 Having rescued 216 mostly women and children refugees and migrants stranded at sea off the coast of Libya, the Proactiva boat refused to comply with an order from the captain of a Libyan coast guard vessel to put the refugees ashore in Libya. On returning to port in Sicily, the Proactiva vessel was impounded by Italian authorities and the crew members were detained on charges of criminal association and the promotion of illegal immigration to Italy. An Italian judge has since thrown out the criminal association charge, but the crew still faces the charge of promoting illegal immigration while the Proactiva boat remains impounded. In Spain and Italy, hundreds of demonstrators have taken to the streets to protest what they say is a campaign of harassment by the governments of Italy and Libya against Proactiva and other NGOs working to rescue refugees and migrants who make the dangerous Mediterranean crossing from North Africa to Europe. Speaking to reporters in Brussels, Proactiva director Oscar Camps said the organization is the target of a “campaign that began in 2016 designed to discredit NGOs (carrying out) rescue operations” and complained that Proactiva crew members face stiff fines and jail terms of up to 15 years on the charge of promoting illegal immigration, as though they were involved in migrant trafficking rather than saving human lives. The European Union’s Frontex border control agency has sided with the Italian government over the charges against Proactiva. Calling on the European Parliament to intervene and defend the refugee rescue efforts, Camps also said the Frontex agency should be required by the European Parliament to comply with a United Nations protocol that would require European nations to provide safe harbor and rescue refugees and migrants stranded at sea.